We’ll listen carefully so we understand exactly what challenges you’re up against. We’ll empower you with the information you need to make your own decisions about your finances. And as your lawyers, we’ll work harder and smarter than your creditors to find the best strategy to wipe out your debt. David has handled more than 150 bankruptcy cases since starting the firm. He enjoys more complex cases, including lots of Chapter 13 reorganization. His cases often involve restructuring mortgages to save people’s homes. While many bankruptcy lawyers see bankruptcy as the only thing they do, David is always looking for claims under consumer protection laws to help put more money in his clients’ pockets. 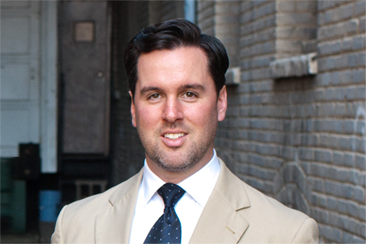 David is licensed to practice law in Minnesota and New York. Todd leads our consumer litigation efforts, including suing debt collectors, credit reporting agencies, and car dealers. He also defends people who are sued by creditors and debt buyers. Todd has won important consumer rights cases at summary judgment, trial, and on appeal, including a win at the Minnesota Supreme Court that established new protections for used car buyers. His work has been featured by the Star Tribune, KARE 11, and Minnesota Public Radio. Todd is licensed to practice law in Minnesota state and federal courts.